This Grade II listed hotel is rich with history, including its 12th century cellars, exposed beams & priest holes. Rye is a medieval townscape locked in time with a fascinating history, yet is only four miles from the wonderful white beach of Camber Sands. Each room in this hotel is a testament the grandeur of Tudor & Elizabethan buildings with unique character & antique furniture. Rye is a town unlike any other in England. 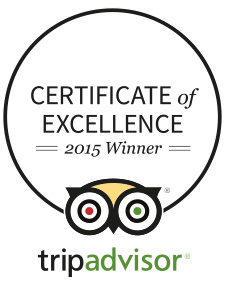 A medieval townscape locked in time with a fascinating history, it offers a great escape for relaxation or romance. Four miles from the white beach of Camber Sands, the sea air is wonderful any time of year. Originally surrounded by sea, this fortified hilltop town stands tall above the sprawling green pastures. Head to St Mary's church tower, which offers the best viewpoint to show the terracotta roofs of the many timbered houses. 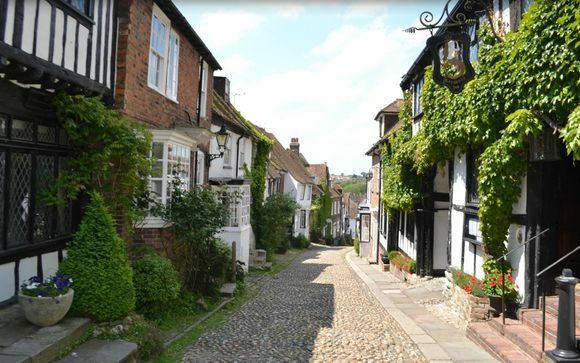 Alternatively, explore its cobbled streets by foot and discover secret passages, once the haunt of smugglers and highwaymen, and a regular film setting for period productions. 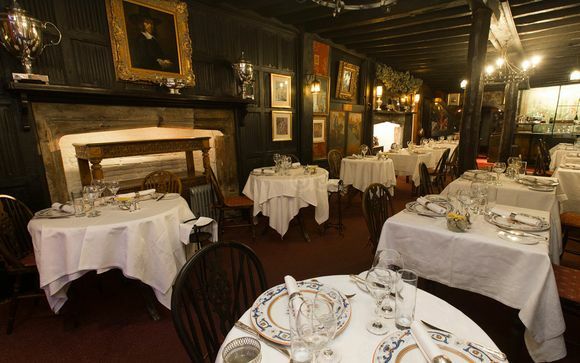 Discover 600 years of history at Mermaid Inn, tuck into delicious food at the Linen Fold Panelled Restaurant, make your way through the portrait adorned hallway, go upstairs to the Elizabethan Bed Chamber, and Dr Syns Bed Chamber, where the secret passageway behind the bookcase is open, to reveal the Priest Hole. Experience a drink in the Giant’s Fireplace Bar and imagine how the Hawkhurst Gang, local smugglers in the 1730s and 1740s, caroused in the bar. Can you see the secret passageway entrance? This hotel is a destination in its own right. Each Room is moulded by time, The Royal Rye Room derives its name from Elizabeth I's visit to Rye in 1573 when she declared the whole town royal for its role in defending England. In 1913 Mrs Adlington ran the Mermaid as a club and many famous artists and literary personalities visited, including Henry James, Rupert Brooke, E.F Benson, Dame Ellen Terry and Lord Alfred Douglas (Oscar Wilde’s Bosey). 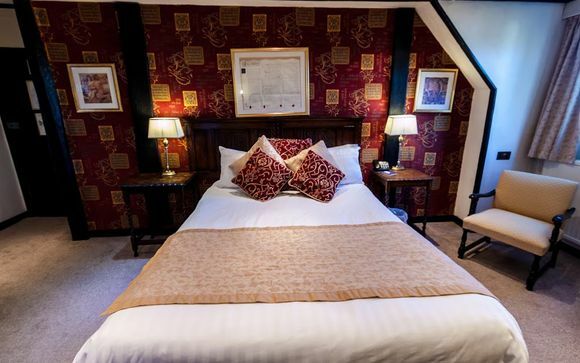 Our members can choose between a Double Room, a Double Room with £50 worth of food credit or a Four Poster Bedroom with £50 worth of food credit. No two double rooms are the same but each one revels in the wealth of original characteristics throughout this historic hotel. From the ornately carved headboard in Moore Room to the charming exposed beams found in the attic Diamond Room, each room uses antique furniture to compliment the space. 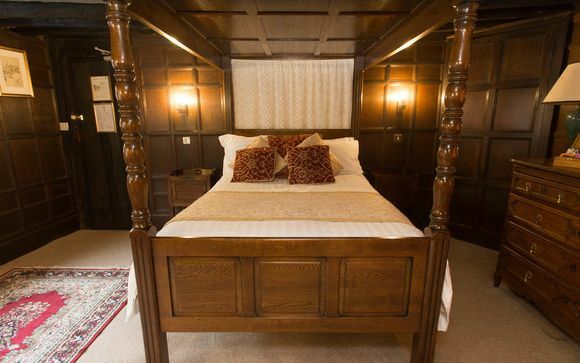 Step into a bygone era when you stay in a Four Poster Bedroom. As with every other room type in this hotel, each regal four poster room has been individually designed to showcase original characteristics dark exposed beams & vast beds perfectly offset the exposed brickwork of the Kirkham room or the cozy wood-panelled walls of Rye Royal. Dine in the Linen Fold Panelled Restaurant, where you can enjoy the ambience of the large restaurant, the cosiness of The Dr Syn Dining Room or the privacy of the Boardroom for your evening meal, lunch and breakfast. Head Chef Ben Fisher is very focused on using quality, seasonal, local ingredients and cooking them perfectly. He has a broad range of experience having worked in Michelin Star restaurants such as Fischer’s Restaurant in Baslow, The French Laundry in California, Tom Aikens Restaurant in London and worked with Thomas Keller at Harrods. He is able to adapt to the requirements of the guest and the occasion.